Welcome to the New Year, the first edition of Plugged In for 2019, and the start of the vehicle revolution. This year, we will see many new hybrid and electric vehicles (EV) coming into our market. In Europe, there are more than a 100 fully or part electric vehicles available to buy or lease, and this is set to increase. Global vehicle manufacturers are planning to invest $US300 billion ($AU418 billion) to electrify vehicles and billions more as they work towards a driverless future. In the U.S. last year, plug in car sales reached 361,307 – an 86 per cent increase over the 194,479 sold in 2017. The revolution is upon us, and not only should we be gearing up our workshops to be able to deal with these vehicles but there should also be a focus on training. The MTA Institute is a leader in this respect, offering skill sets including AURETH010 (Diagnose and repair high voltage rechargeable energy storage systems in hybrid electric vehicles), AURETH011 (Depower and reinitialize hybrid electric vehicles) and AURETH012 (Service and maintain electrical components in hybrid electric vehicles). I recommend you enroll in these courses and join our network so we can help each other to prepare and adapt to the coming EV revolution. These Plugged In articles are designed mainly for those in the trade, so a certain amount of knowledge is expected. However, my goal is to take away the mystery about this technology, encourage those in the trade to take on the challenge of working with this technology and encourage the public to have the confidence to consider purchasing electric-powered vehicles, knowing that there is the expertise out there within the trade to service them. The first articles for this year will focus on SAEJ3016 Levels of Driving Automation. 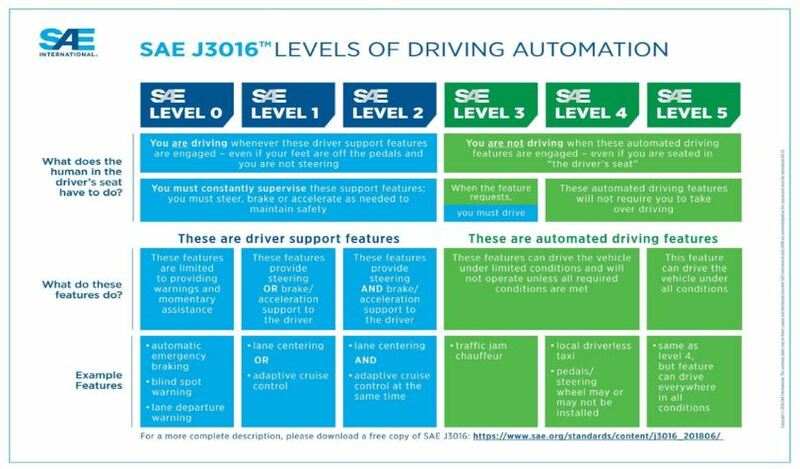 These are levels of autonomous listed by the SAE (Society of Automotive Engineers) – an organization of which I am a member and one that I would advise the trade to consider becoming members of too. ‘Autonomous’ is a word some are fearful of. 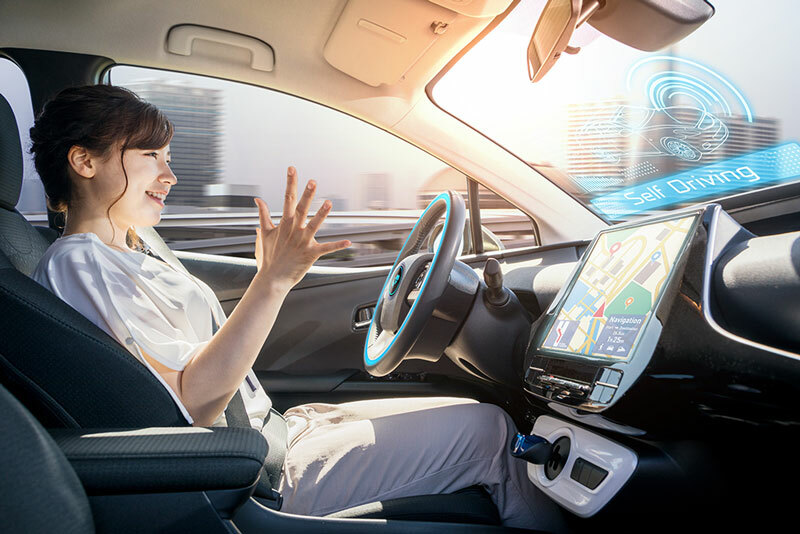 However, there are levels of autonomy – from zero (a standard car driven and controlled by a human) to level 5 (full automation). It’s worth remembering that in other transportation areas, automation is becoming more prevalent – trains have been doing this for a while, and if you have ever been to Japan, you may know that at Narita Airport, a fully autonomous electric train will take you to the main terminal. In Sydney, driverless passenger trains are currently being test. Above is a graphic showing the different levels of autonomy and, at a later date, I will discuss V2V – systems that allow a vehicle’s electronic sensing systems to distinguish the elements in the environment around it. This is part of the greater technology that will allow for fully autonomous vehicle travel.